Politics and political events are an integral part of every country. There is a huge demand for flyers regarding the event and spreading the propaganda and agenda of various political person or group. 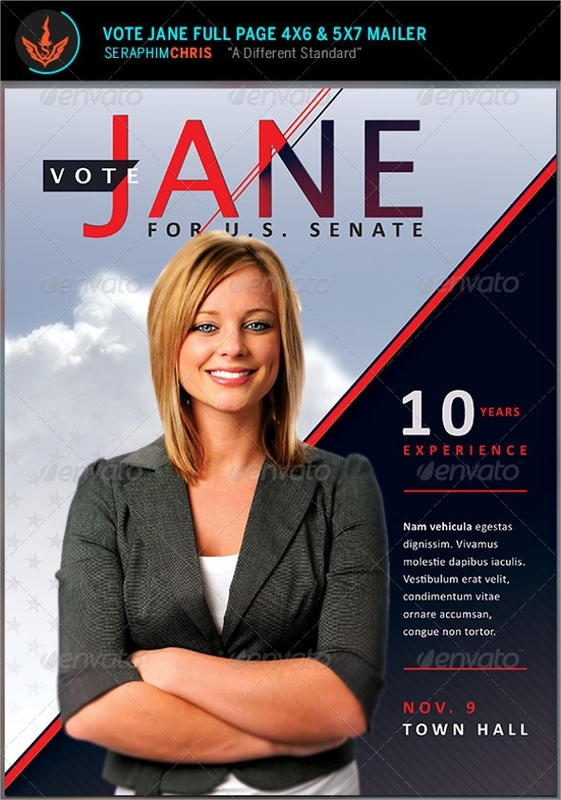 The following political Anniversary Flyer Templates are tailor made for this purpose. They are very highlighting with creative designing to highlight contents and the designs at the same time. 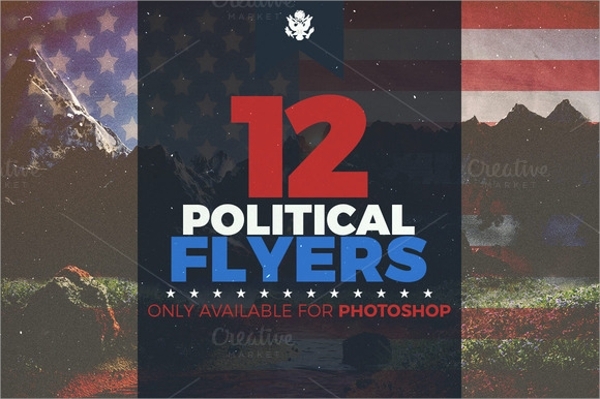 They are eye-catching and sure to make any political person stand out in the crowd. They are sure to win over a lot of people all by itself. It makes them look premium and serious. 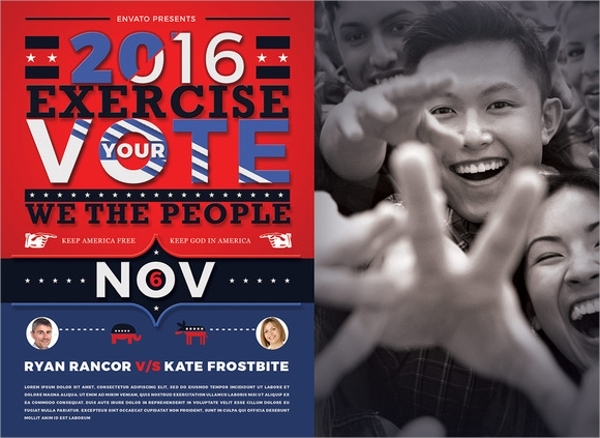 This amazingly designed vote political flyer has awesome color combination and creative layout for design and content. It comes with 4 PSD files which will help you in editing. 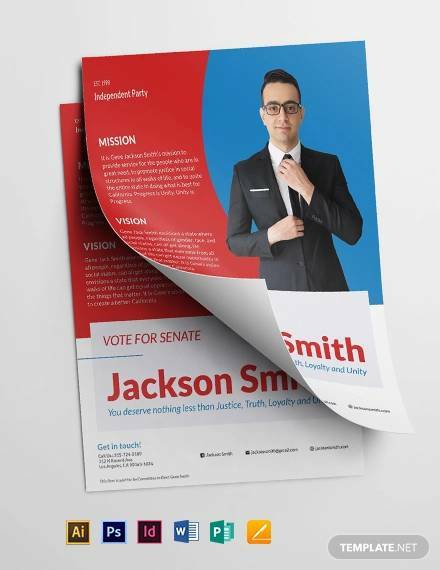 This eye-catching political flyer has separate layout for design and content. The contents are well highlighted and the color combination is eye-catching as well. 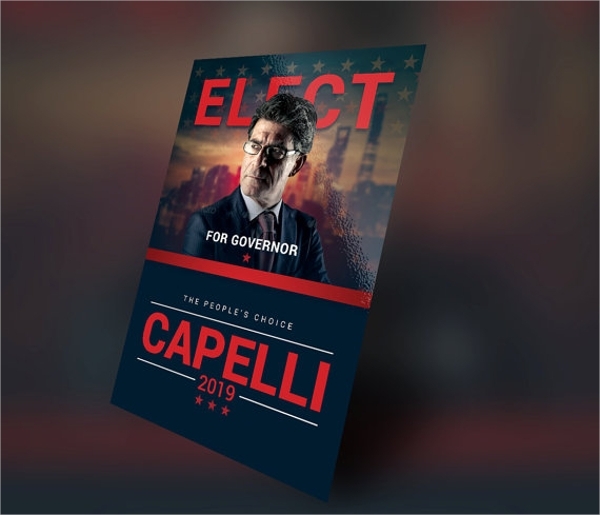 This beautifully designed political flyer has a dimension of 8.5 x 11 inches. It comes with 5 PSD files to help you in easy editing as per requirements. 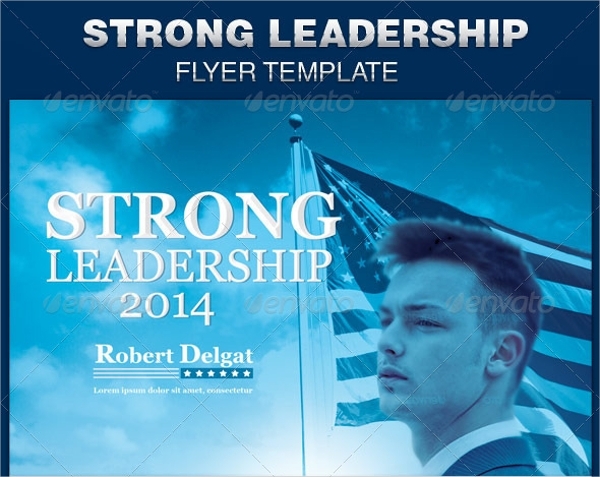 It also includes mailer template. 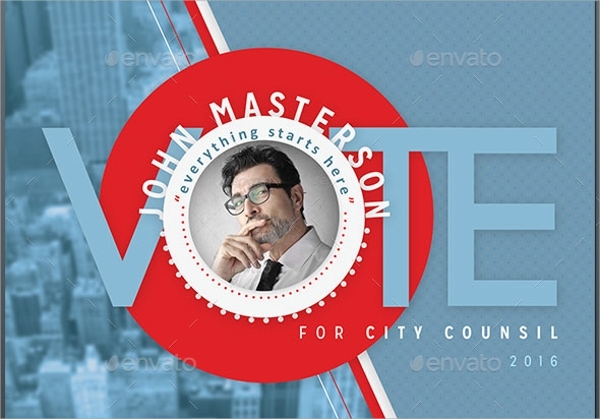 It comes in a pack of 12 different and unique designed political flyers with a size of 8.5 x 11 inches. All of these are fully customizable and has 6 color options in them. 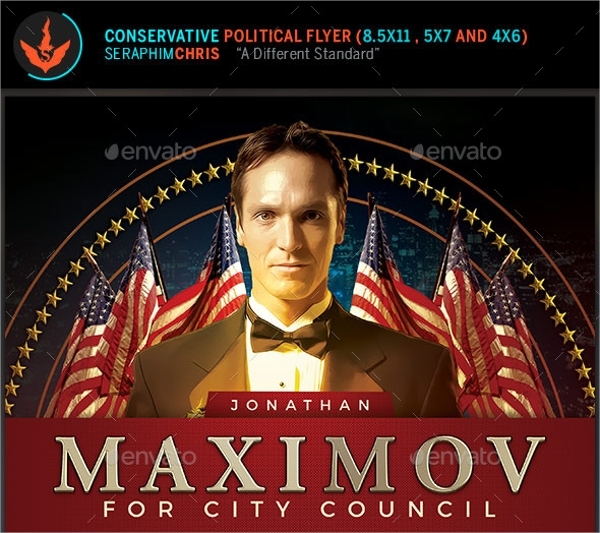 This world-class political flyer is sure to make you one step ahead of your peers with its rich blue color combination. It has a size of 8.5 x 5.5 inches with facebook cover picture. 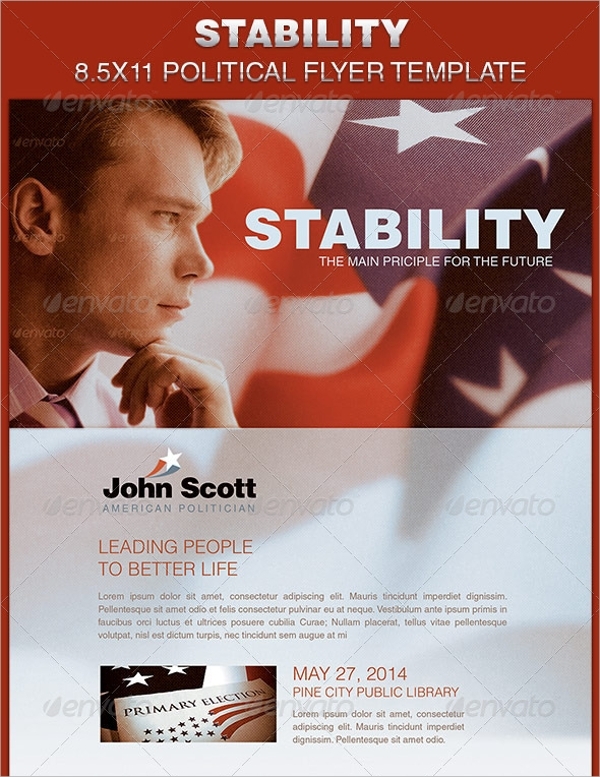 This amazingly designed powerful political flyer looks awesome with its rich color combination and golden text. It has several flyers with different color combinations and sure to meet all your requirements. 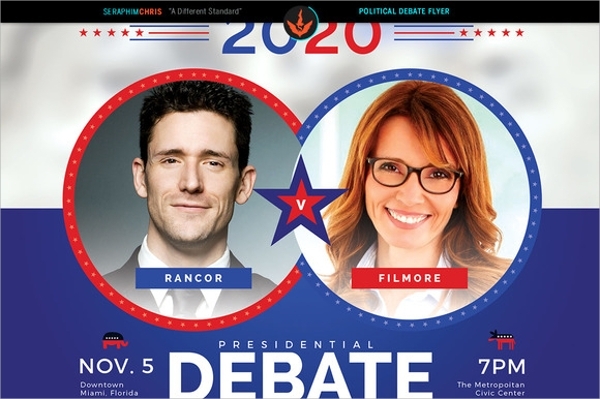 This clean and minimalist designed political debate flyer has the right color combination and separate layout to highlight the candidates taking part in the debate without being bias. 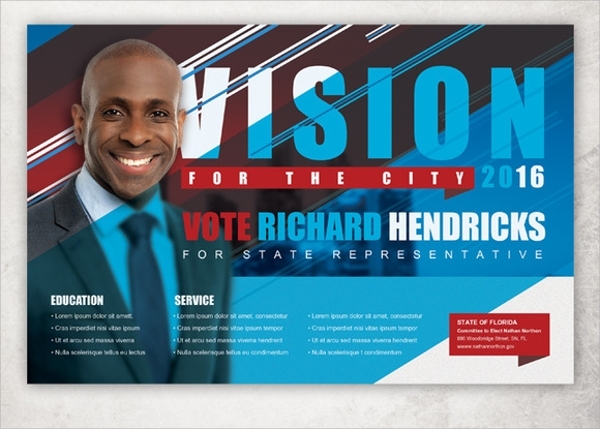 This wonderfully designed political flyer has separate layout for background images and graphical works to highlight design and text equally. It is very appealing to the eyes. 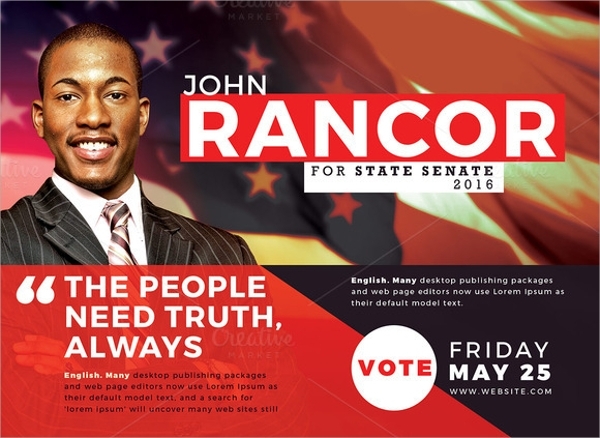 All the above-mentioned political flyer templates are fully customizable and the unique fonts are provided in the pack. They all are very eye-catching and some of them are premium as well. The color combination and the object placement are making them stand out in the crowd of other flyer designs.